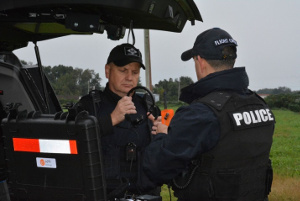 APPI-COM full-duplex radio sets have unique patented team communication technology for public safety and industrial applications. The hands-free operation of APPI-COM sets makes them perfectly suited to compliment UAS operations, allowing the UAS pilot to securely communicate with a command post, sensor operators and other team members. 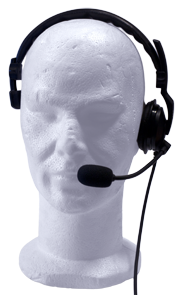 A wide variety of headsets are available to meet user requirements. They can be as simple as a cellphone style earpiece or as rugged as full tactical headset. There is also a desktop style with a built-in speaker that can be used for command post placement. 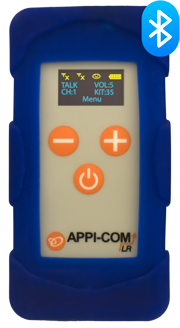 The APPI-COM LR is the only model that is available in the US and operates on frequency bands that will not interfere with the UAS platform or ground station communications. CMR is an authorized reseller of APPI Technology full-duplex hands free radio sets. Contact us at sales@camotionllc.com for additional information or price quotes. 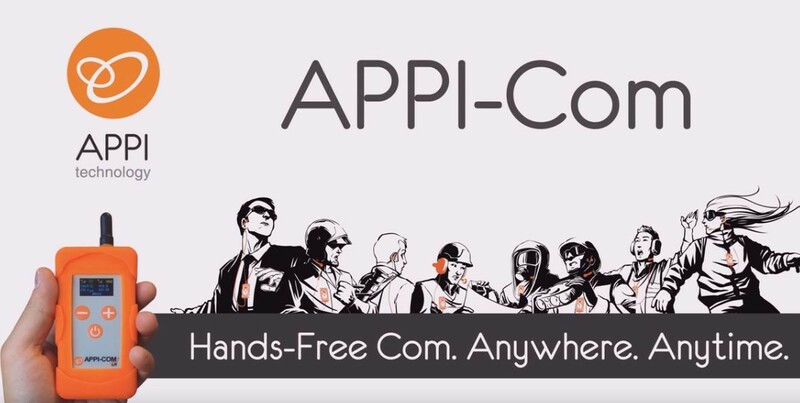 APPI-Com is a Long Range Wireless Intercom for professionals, for the whole team: from 2 to 10 people... or more! APPI-Com allows a natural conversation between an unlimited number of users despite physical obstacles (walls, floors, etc. ), despite protective equipment being worn. The digital coded wireless network is deployed within seconds, on a license-free radio band allowing the use of APPI-Com practically everywhere and independently: LWP and Hands-free radio, Anywhere and Anytime! Product INVISIO M3h is equipped with removable foam for safe use and with a perfect fit by multiple individuals. The MiniSet M3h can be ordered in a "D" or "G" version depending on the ear to be used. 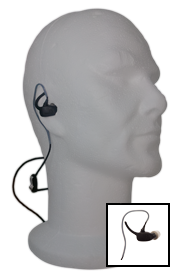 Integrated audio device (All-in-One: speaker AND in-ear microphone): one ear is available to keep in touch with the environment (situation awareness) or could be equipped with a second speaker (option) for a better protection. This innovative technology eliminates the need for an external microphone as the voice is collected directly into the ear canal using bone conduction. This accessory has been specifically configured for APPI-Com: it provides excellent insulation from external noise for unmatched comfort communication (noise protection: around 29dB), and authorizes a conversation in a very "discreet" mode, even in very noisy environments. Exclusive APPI® high reliability connector: metallic, circular, keyed, self-latched, IP68 In addition, the acoustic tube includes removable and replaceable foam for optimum hygiene. 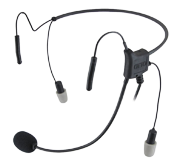 This device is equipped with interchangeable bands comfortable on the ear [BS-APC-BOHURC] and a boom microphone with replaceable windscreen. The Hurricane II headset is designed to provide the performance of a heavy duty headset in a high noise environm ent without all of the weight and bulk. The dual ear loops ship standard with an NRR rating of 29dB, delivering advanced protection against dangerous decibel levels. The user can easily convert the headset for use in a low noise environment by simply switching out the ear tips. The closefitting headset can be worn comfortably under a helmet or cap. Recommended for public safety markets, manufacturing, airline industries and all users in high noise environments. Lightweight and comfort for this in-house Audio headset with 1 ear pad to keep an ear to the external environment: one flexible micro boomer, adjustable size head strap. 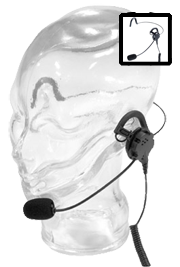 This headset is optimized for speech communication on stages, theaters, offices or in-house working ambiances. Flexible boomer mic-swing configuration to fit left or right ear users, with exchangeable ear pad or mic foam. Light / Industrial headset with left ear speaker and noise cancelling microphone. “Two products in one” device with an “around the neck” support as well as an Helmet clip to attach to the hard hat or any sort of head protection! This headset can be ordered with or without in-line PTT, based on usage. 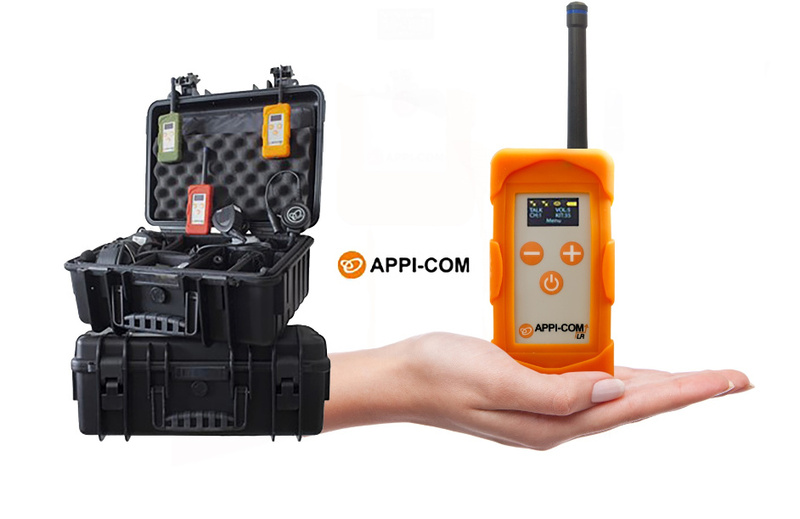 Specially set for the APPI-Com device, it is used in demanding environments. The microphone foam can be exchanged and the system comes with “around the ears” protection better comfort.